ISTANBUL (AP) — The two women in the photograph were smiling, but Halmurat Idris knew something was terribly wrong. They believe the program is aimed at coercing China’s 10 million Uighurs into living secular lives like the Han majority. Anything diverging from the party’s prescribed lifestyle can be viewed by authorities as a sign of potential extremism — from suddenly giving up smoking or alcohol, to having an “abnormal” beard or an overly religious name. 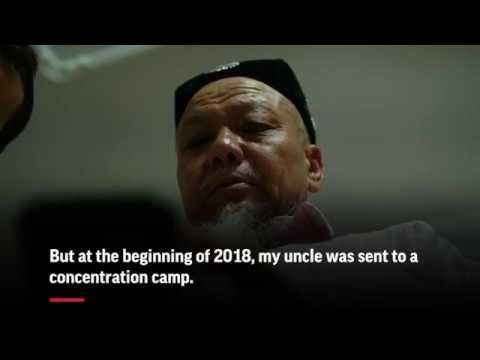 The Uighurs abroad said their loved ones were constantly on edge in their own homes, knowing that any misstep — a misplaced Quran, a carelessly spoken word — could lead to detention or worse. In the presence of these faux relatives, their family members could not pray or wear religious garbs, and the cadres were privy to their every move. Last December, Xinjiang authorities organized a “Becoming Family Week” which placed more than 1 million cadres in minority households. Government reports on the program gushed about the warm “family reunions,” as public servants and Uighurs shared meals and even beds. A different photo showed two women “studying the 19th Party Congress and walking together into the new era” — a nod to when Xi’s name was enshrined in the party constitution alongside the likes of Deng Xiaoping and Mao Zedong. Uighurs said they were particularly repulsed by the thought of male visitors living under the same roof as their female relatives and children — a practice contrary to their faith. Women and kids are sometimes the only ones left at home after male family members are sent to internment camps. Such marriages are highly publicized. The party committee in Luopu county celebrated the marriage of a Uighur woman and a “young lad” from Henan in an official social media account in October 2017. The man, Wang Linkai, had been recruited through a program that brought university graduates to work in the southern Xinjiang city of Hotan. Gu said civil servants of many ethnicities — Uighur, Han and Kazakh — participate in the program. As with many of the government’s other initiatives in Xinjiang, the “Pair Up and Become Family” program is presented as a way to rescue Muslim minorities from poverty. Public servants show up at homes bearing bags of rice and gallons of cooking oil, and their duties include helping with chores and farm work.